The human voice can be an instrument that makes us cry or cringe. Strained or hoarse voices make us recoil, while the clarity of a mezzo soprano can raise a warm flush of euphoria. Metropolitan Opera tenor Jon Fredric West, one of the most heralded tenors in the opera world, hosts “It’s All About The Voice,” an hour-long exploration into the science of song. This monthly program, heard exclusively at wcny.org, shares the science and subtleties of vocal performance. 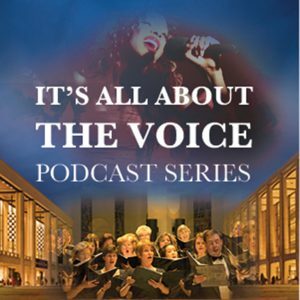 “It’s All About The Voice explores opera and classical chamber music and promotes an appreciation for the voice in all of the ways it can be used in song. West has been called the world’s foremost interpreter of the title role in Siegfried and Siegfried in Götterdämmerung. He has sung the roles twice as part of the complete Ring Cycle at the Metropolitan Opera in New York under the baton of James Levine. He has also sung previous performances in both roles in the Ring Cycle at the Bavarian State Opera in Munich under the baton of Zubin Mehta, Deutche Oper Berlin under the baton of Christian Thielemann, Théâtre du Châtelet, as well as at the Canary Islands Festival. He has sung the title role in Siegfried as part of a production of the Ring Cycle in Stuttgart that was recorded and released on DVD through EuroArts and Naxos and won the Best Ring Cycle Award, Best DVD in 2004 and was also listed on the German Critics Top Ten List in the same year. Mr. West has further distinguished himself in the title role of Tristan in Tristan und Isolde. Die Welt hails him as “the kind of Tristan you seldom hear with any comparable balance of presentation. Without the least sign of exhaustion, he sings through to the conclusion with a fresh voice, even in the murderous chain of hallucinations under which he dies to meet Isolde’s arrival.” He has earned international acclaim for his portrayals of the heroic tenor roles of composer Richard Wagner and become known for his leading tenor roles as Canio in I Pagliacci and Florestan in Fidelio, as well as Otello. Mr. West has performed extensively in concert and recital with leading orchestras and conductors. 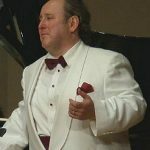 His engagements include the Salzburg Festival, Bayerische Staatsoper, Vienna Staatsoper, Royal Opera House at Covent Garden, Berlin Philharmonic, Lyric Opera of Chicago, the Canary Islands Festival, the New York Philharmonic, the Philadelphia Orchestra at Carnegie Hall, the Chicago Symphony Orchestra, and the Los Angeles Philharmonic at the Hollywood Bowl. Jon Fredric West, a native of Dayton, Ohio, was awarded a full scholarship from Bowling Green State University where he obtained a Bachelor of Music degree in Performance. He also received grants from The National Opera Institute, The Sullivan Foundation, and an award from The Liederkranz Foundation. Mr. West received full scholarships from Manhattan School of Music for his Masters degree as well as for post-graduate studies at the The Juillliard School. Mr. West has also been awarded an Honorary Doctorate from his Alma Mater, Bowling Green State University, for his achievements and contributions to the operatic landscape worldwide. Episode 1: Premiere – What Is Vocal Beauty?